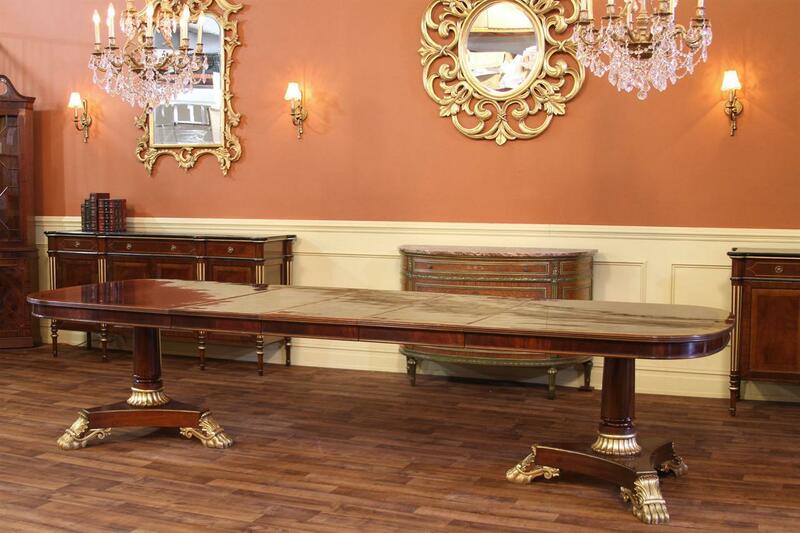 Expandable Regency style dining table with double pedestals. 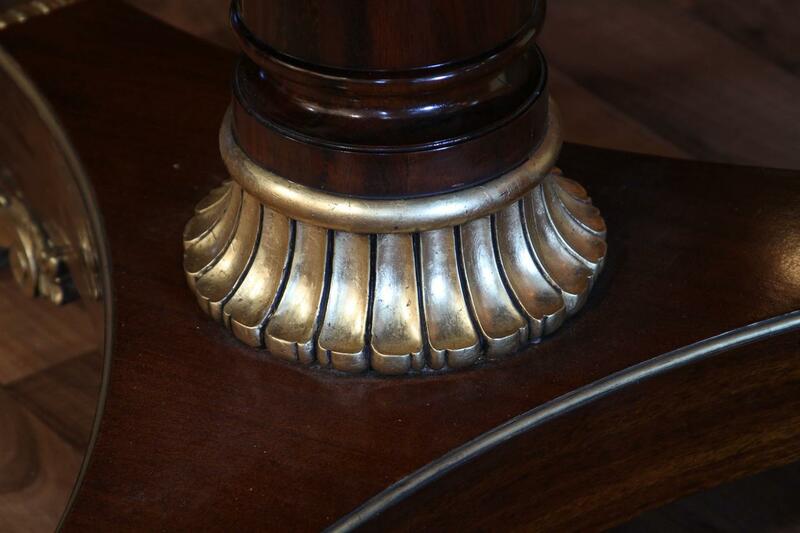 Shown with its three leaves. 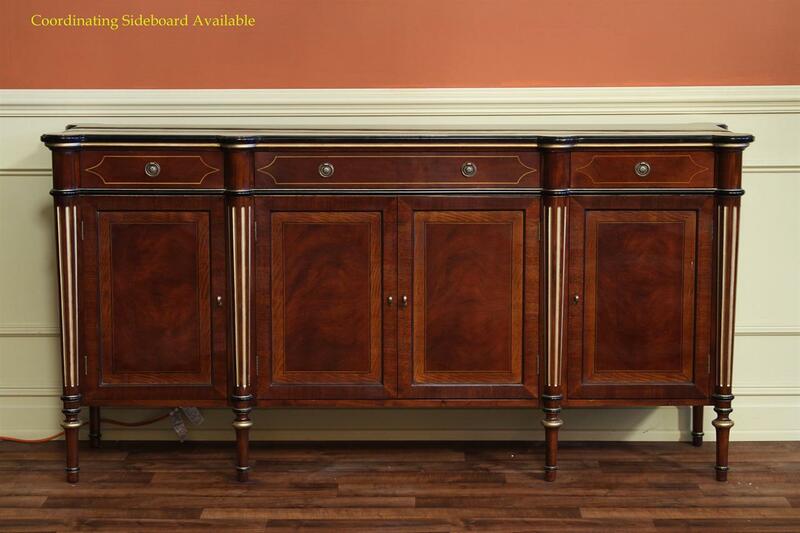 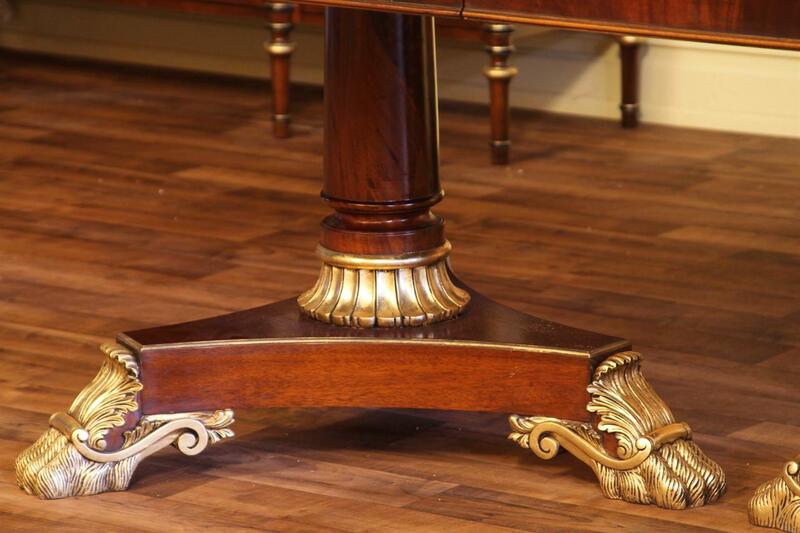 Gold leaf accented French Empire style pedestals shown here made from mahogany solids. 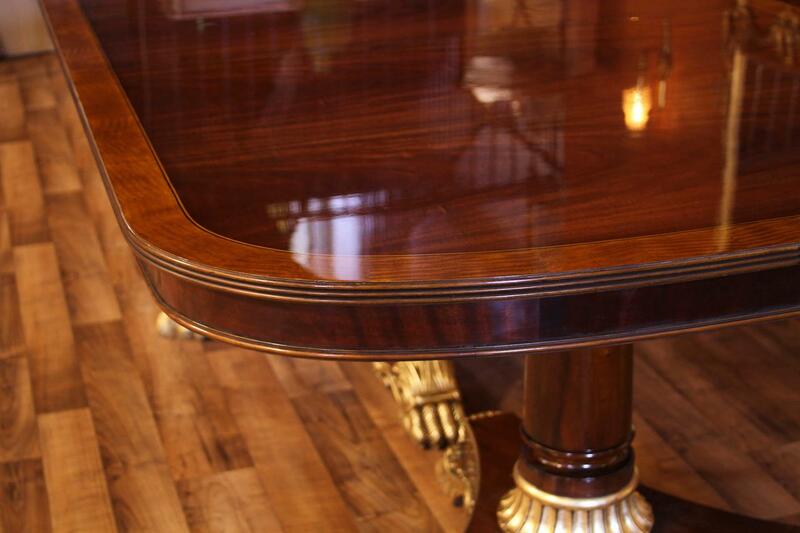 Expandable French Empire dining table shown without extensions with satinwood banding. 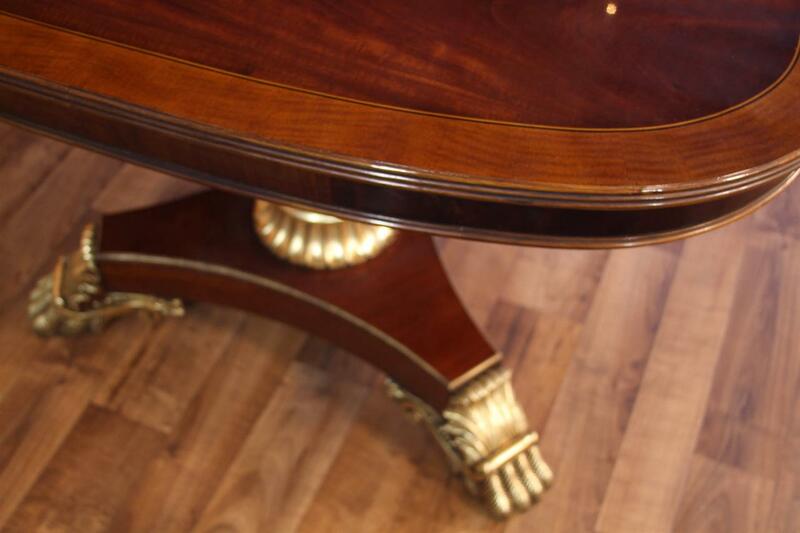 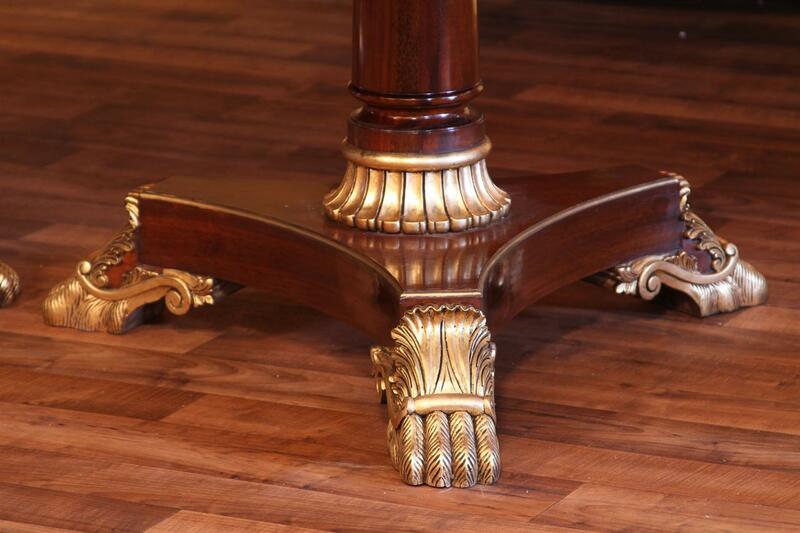 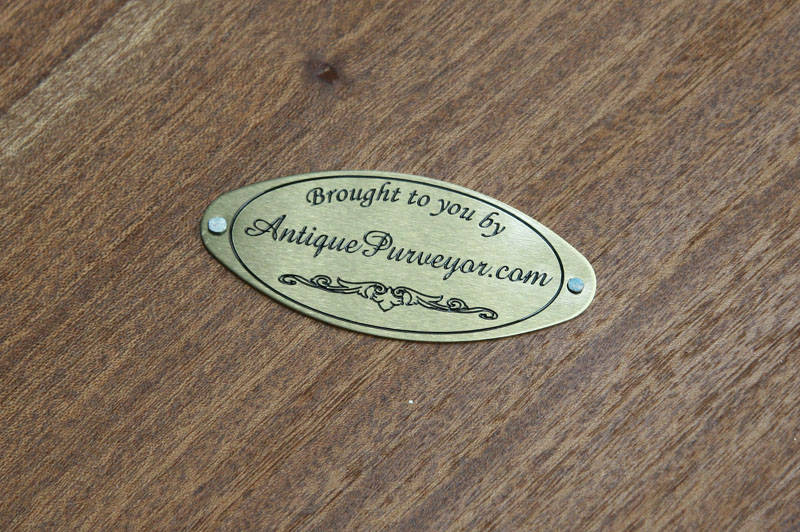 Pedestal details for the gold leaf accented double pedestal on a French empire style dining table. 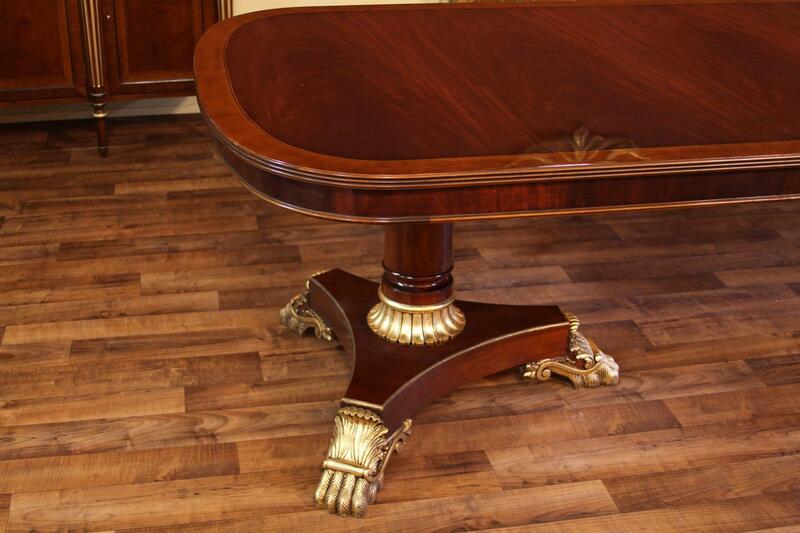 Description: New antique reproduction French empire or Regency style mahogany dining table with gold leaf accented paw foot pedestals. 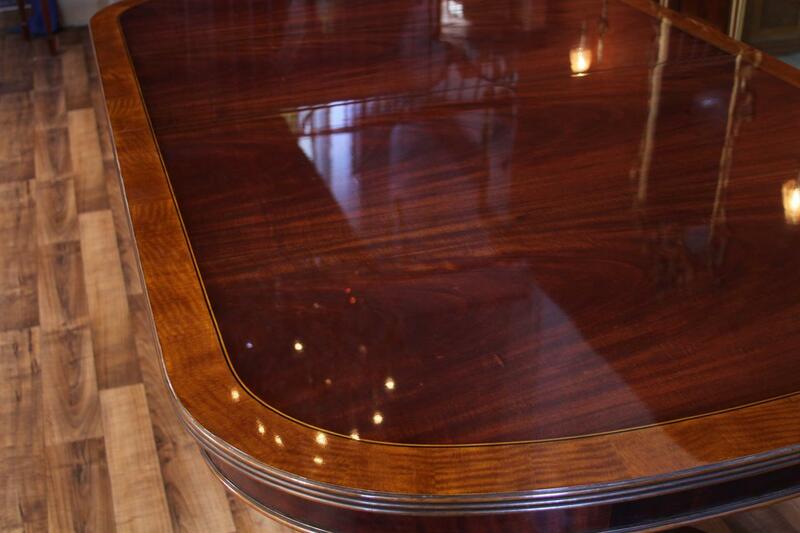 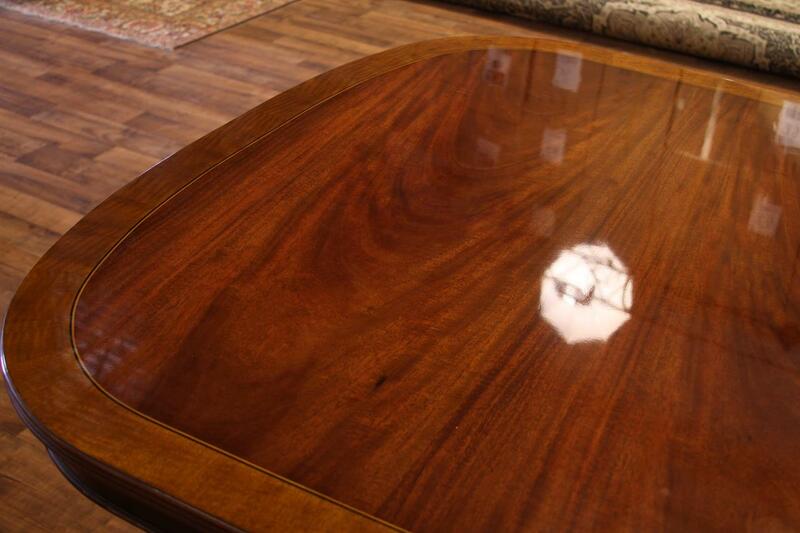 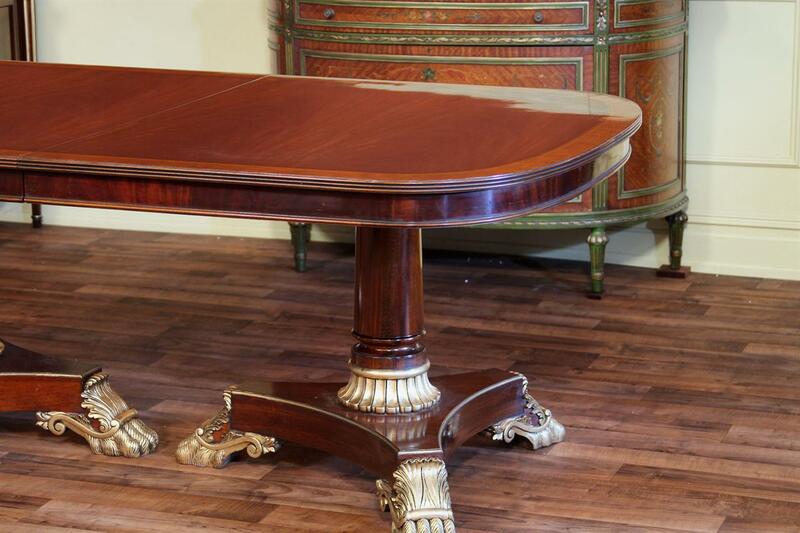 This double pedestal dining table has a cathedral mahogany field with a golden brown satinwood inlay around border. 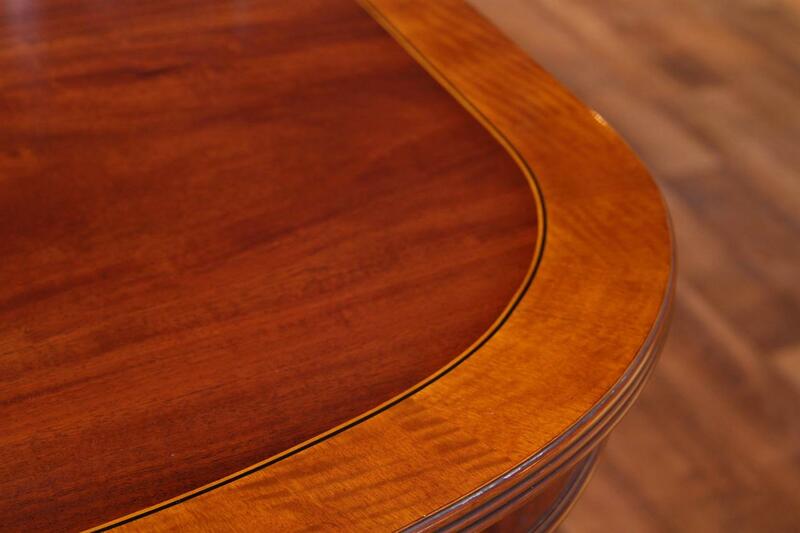 Table is also fitted with an apron which runs around the perimeter of the table and on the leaves. 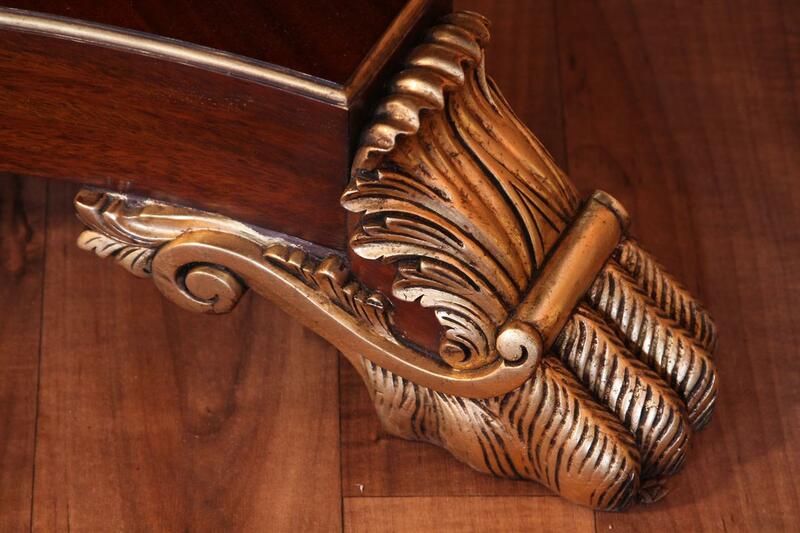 Table has heavy American made slides. 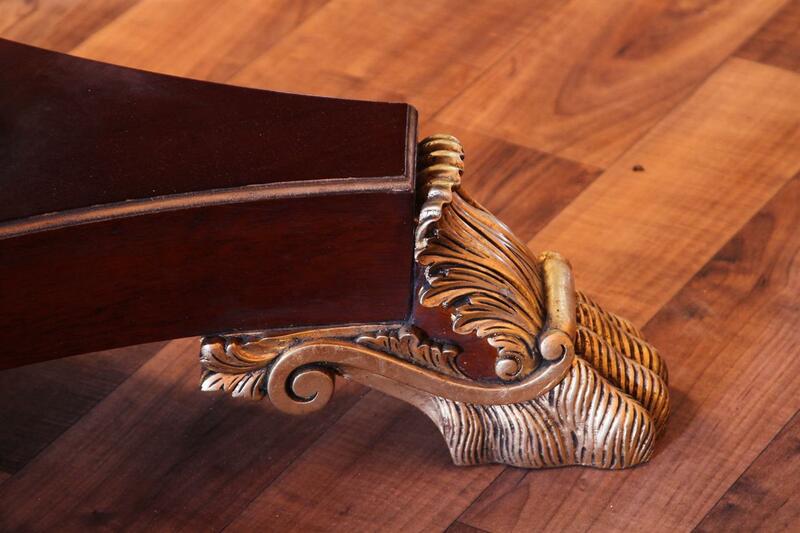 The gold leaf accents are done by hand at our manufacturing plant and the accents are genuine gold leaf. 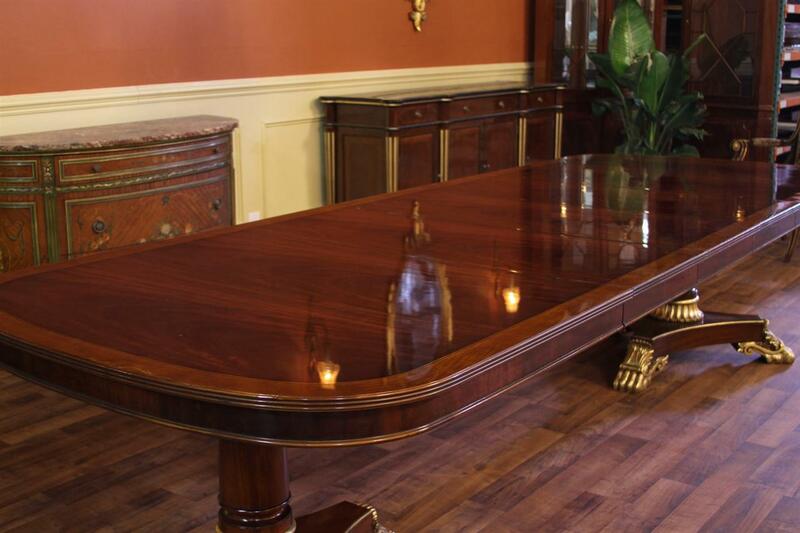 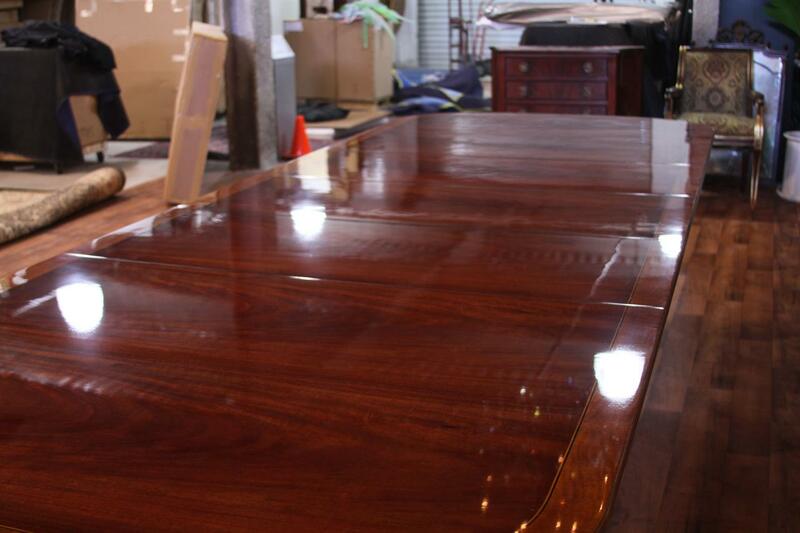 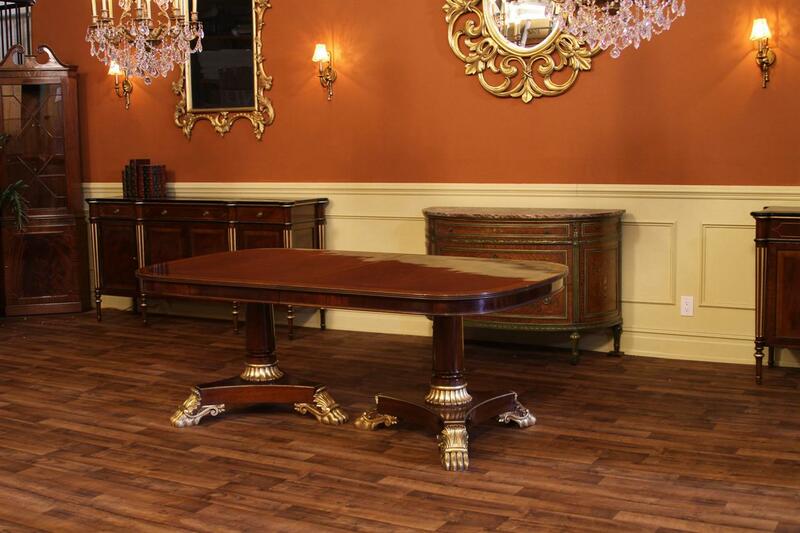 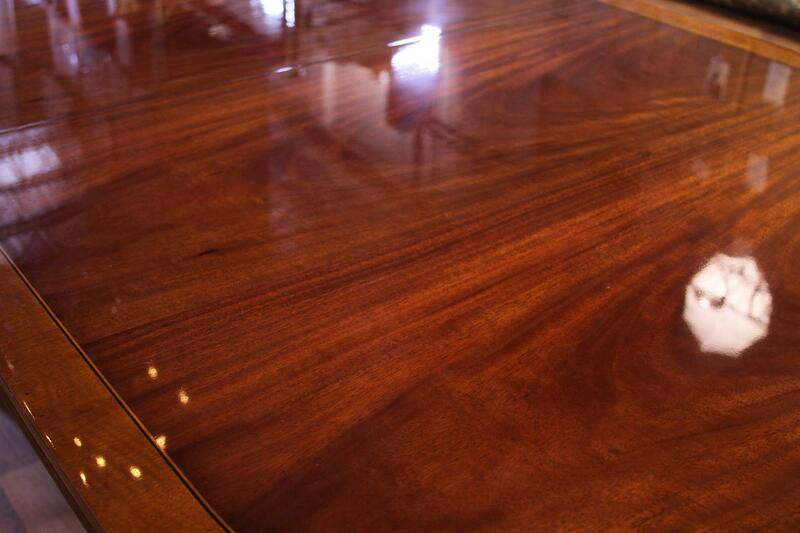 This heavy American style banquet table will also serve as a conference table for a fancy boardroom. 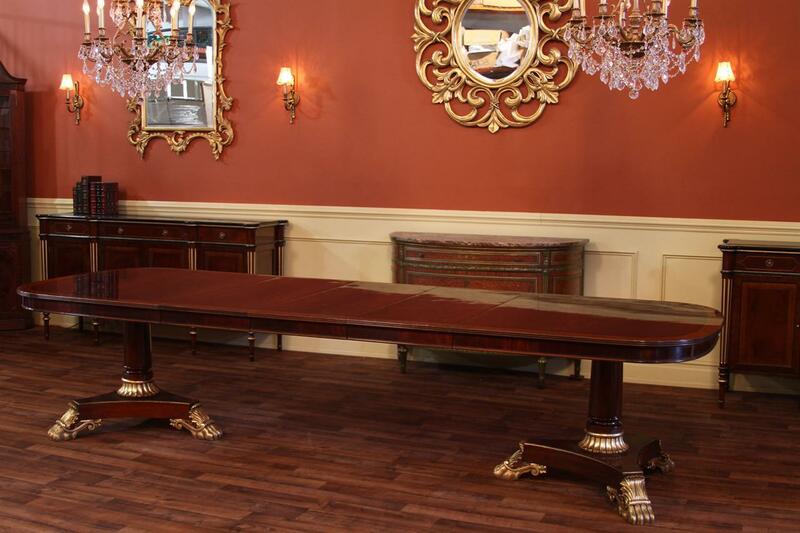 3 large leaves make this a 12 seat dining table and it opens to over 130", but 14 people can probably be served on a typical home holiday. 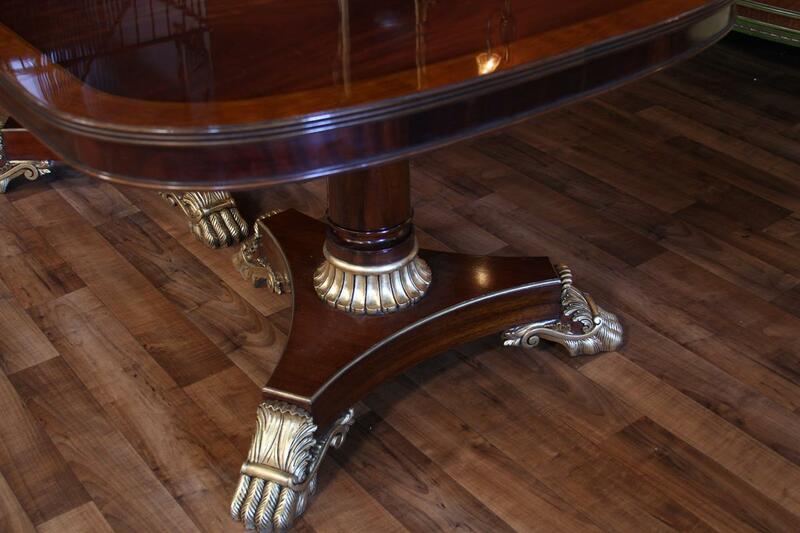 A quality high end dining table like this would cost much more in a fancy showroom, our studio offers this table at a fair price. 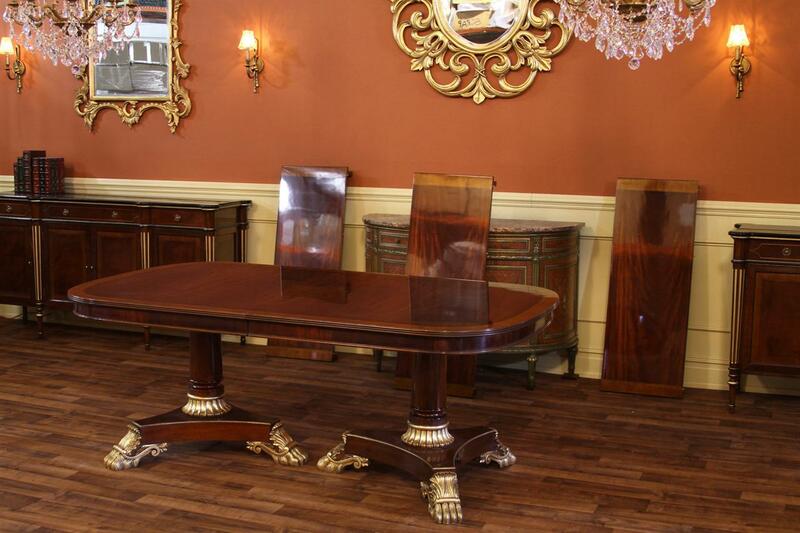 We have more reproduction antique furniture to coordinate with this table ie; chairs, chinas and sideboards.